Chinese tech giant Huawei is launching a U.S. court challenge to a law that labels the company a security risk and would limit its access to the American market for telecom equipment. Huawei Technologies Ltd.'s announcement comes as the biggest global maker of network equipment for phone and internet companies fights U.S. efforts to persuade allies to exclude the company from next-generation telecom systems. 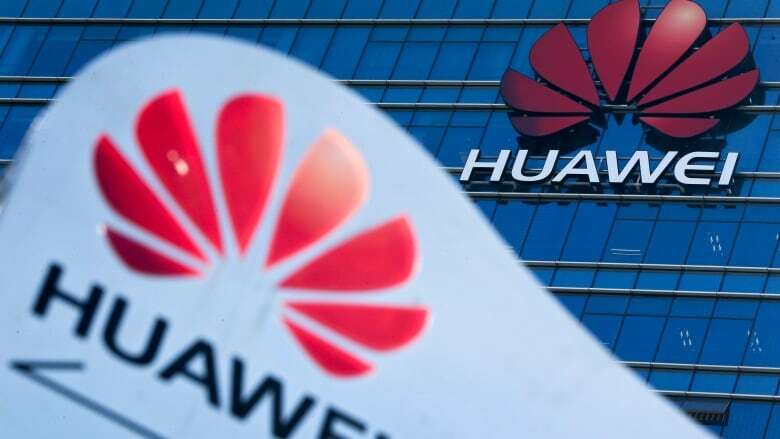 Huawei said it filed a lawsuit asking a federal court in Plano, Texas, to throw out a portion of this year's U.S. military appropriations act that bars the government and its contractors from using Huawei equipment. Huawei, China's first global tech brand, is at the centre of U.S.-Chinese tensions over technology competition and cyber-spying. The company has spent years trying to put to rest accusations it facilitates Chinese spying or is controlled by the ruling Communist Party. Huawei has about 40 per cent of the global market for network gear but its U.S. sales evaporated after a congressional panel in 2012 cited the company and a Chinese competitor, ZTE Corp., as security risks and told phone carriers to avoid dealing with them. U.S. authorities "have hacked our servers and stolen our emails" but have presented no evidence to support their security claims, Guo said. He complaining Washington was "sparing no effort to smear" the company. Washington's campaign to persuade allies to shun Huawei threatens to block access to major markets as phone carriers prepare to invest billions of dollars in fifth-generation equipment. Huawei says the new law would shrink its potential U.S. market further by prohibiting the government from buying the Chinese vendor's technology and from buying goods or services from or giving grants or loans to companies or other third parties that do. The United States accounts for 20 to 25 per cent of the global market for computer and telecom technology. The company is challenging the U.S. law as an unconstitutional "bill of attainder," or a measure that targets a specific individual for penalties without a trial. The company says that infringes its due process rights and improperly has Congress play the role of a court. The ban is "based on numerous false, unproven and untested propositions," said Song Liuping, the company's chief legal officer, at the news conference. "Huawei has an excellent security record and program.No contrary evidence has been offered." The Chinese government has accused Washington of fabricating or exaggerating security concerns to block a successful Chinese competitor. Huawei, based in Shenzhen, near Hong Kong, is a leading developer of 5G along with rivals Nokia Corp. of Finland and Sweden's LM Ericsson. Industry analysts say excluding the Chinese vendor from markets for 5G equipment would reduce competition and might lead to higher prices. Huawei, founded in 1987 by a former military engineer, overtook Ericsson in 2017 as the biggest global supplier of network gear. It says it supplies 45 of the world's top 50 phone companies and has contracts with 30 carriers to test 5G wireless technology. European governments are balking at U.S. pressure to ban Huawei. The company has announced contracts with customers including the United Arab Emirates for network technology. In January, U.S. prosecutors filed charges accusing Huawei of stealing trade secrets and its chief financial officer of lying to banks about dealings with Iran. The executive, who is the daughter of the company's founder, was arrested Dec. 1 by Canadian authorities and is fighting a U.S. extradition request. China's government arrested two Canadians, a former diplomat and a businessman, on Dec. 10 in what was widely seen as an attempt to pressure Canada to release the executive, Meng Wanzhou. On Monday, the Chinese government accused the two men of acting together to steal state secrets. That followed the Canadian government's announcement Friday that the extradition proceeding would be allowed to continue. Huawei executives deny wrongdoing and say American security warnings have yet to affect sales outside the United States. The company's 2018 revenue forecast is $100 billion and its founder, Ren Zhengfei, said last month this year's target is $125 billion. Some European officials and others cite a Chinese security law that requires companies to co-operate with intelligence agencies. They say Huawei and other tech companies might be required to install "back doors" in equipment to allow eavesdropping. Huawei denies altering its equipment to facilitate spying and has set up testing centres in Britain, Canada and continental Europe to allow governments to examine its technology. "Huawei has not and will never implant 'back doors,' " said Guo, the chairman. The company also has launched a public relations campaign abroad. Its typically press-shy founder, Ren, gave a two-hour interview to foreign reporters in January in which he said Huawei would reject Chinese government demands to disclose confidential information about its customers. Since then, Ren also has talked at length with foreign TV broadcasters.